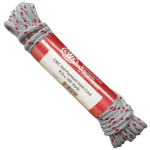 Durable CWC DOT™ braided poly-cotton sash cord, works effectively in renovating and refurbishing traditional sash windows. 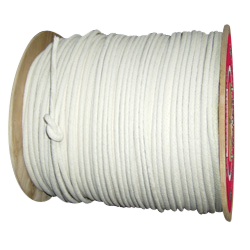 It’s also popular in the film industry, featuring greater strength and less stretch and wear than other cordages. 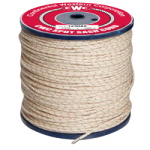 The cord is designed to withstand mildew and rot and is available in both reel and hanks.